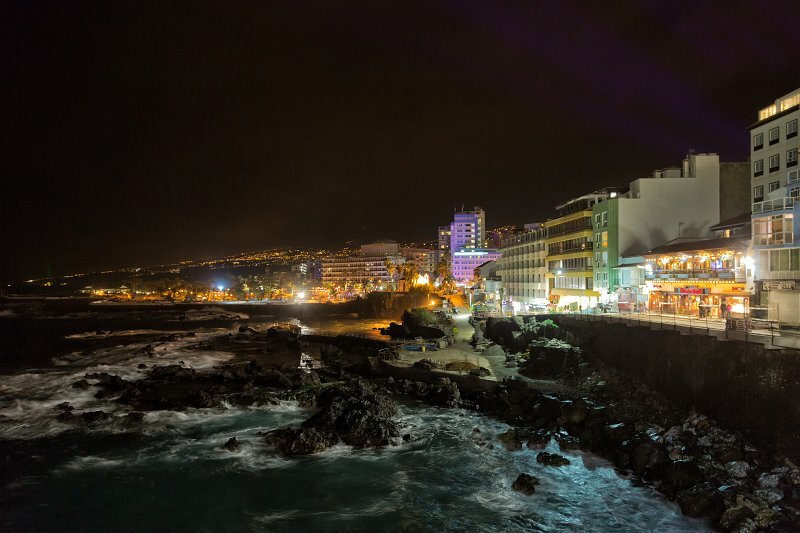 Puerto de la Cruz is a city and municipality in the northern part of Tenerife island. It is located on the north coast, 4 km (2 mi) northwest of La Orotava, and 30 km (19 mi) west of Santa Cruz de Tenerife. The population is 28,929. The city's origins date back to the early 16th century. It existed in 1502 as a coastal port.